Hello pal, did you know how to write a friendly article about SEO? Don’t worry, if you don’t, I’ll discuss this article step by step. 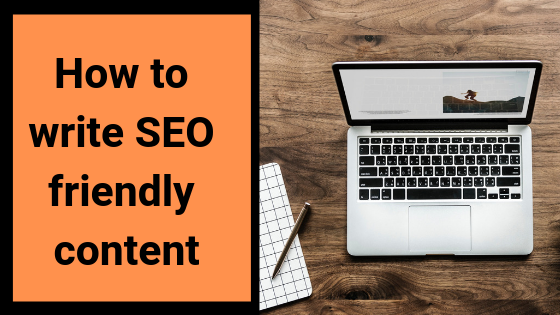 Writing an SEO-friendly article is especially important for your website rank. without SEO friendly article you can’t rank your website. Most bloggers write content without SEO. That’s why Your content does not Rank on Google. Keywords are especially important for a blog post. You can’t write an article without keywords. There are many tools for writing blog posts to find keywords. Proper keywords help you get your post ranking. Most of your competitors on the Internet, but with your golden keywords, you can bet your competitors. Google are secret algorithms! You didn’t know how your post ranks 100%. But you can follow your websites already ranked. How can they write? How they can keep them. It’s why I’m talking about keywords for your post ranking. Long keywords must help to Rank your Post. They automatically Rank your sort Keywords. Tittle is your blog post’s most important part. To the click of your website, a good title decides your users. Write your little one always in H1 Tag. H1 Tags is the right tag for your blog, which is to assist you in your Post rank. Permalinks are the second topic in your blog posts. All blogs are its own URL when you write a blog. Your blog doesn’t access users if you haven’t defined your URL. Always place your title on your Permalink blog posts. The article is the key to boosting your posting on the Internet. In your content, you must be written at least 2000 words. If you have thousands of words in your blog, your blog will add your site values. Rank always depends on the words on your sites. You must create a Table of content of your blog. Then the user can happy to read. This is the most important parts when you write your blog post. Pictures play a significant role in your blog. Did you know that videos in the blog field today are so demanding? Users can gladly see videos that the text is not read. Images also take time for users of your blog posts. So, Create your own Images of your blog. The day is also an important Blog Post part. Your blog post can be accessed via tags. The user can’t access your site without any tags. Therefore, you must add tags from your blog posts. This is the Five Tips for Blogging.